Monica Eaton-Cardone Alerts eCommerce Merchants to Beware of “Family Fraud” and Related Chargebacks, Provides Tips to Avoid Them.. When credit card disputes arise from purchases made by a cardholder’s family members, chargeback management expert Monica Eaton-Cardone says online and mobile merchants must proactively address “family fraud” to mitigate losses. Monica Eaton Cardone informs eCommerce of "family fraud" and ways to prevent it. The reality is that most people will fight these charges by claiming they were ‘unauthorized transactions’; so merchants need to have a strategy in place to deal with rising occurrences of family fraud. Also known as “familiar fraud,” family fraud occurs when a family member—or another known person with direct access to an individual’s accounts, devices or personal information—incurs charges or other debt in the account owner’s name. It might involve a teen ordering items from online shopping sites using his parent’s saved login details on the family computer, a nanny running up long-distance calls on her employer’s phone or kids making in-game purchases on a mobile device. In such instances, the account holder often disputes the charge because it was made without his or her direct consent; but from the merchant’s perspective, a product or service was provided to the account owner’s household, and therefore payment is due. The question of liability in these cases remains unclear, with merchants often absorbing the loss or being assessed chargebacks. “Most American households own multiple Internet-connected devices and often share them among family members, including young children with no concept of financial responsibility. When family fraud inevitably happens, everyone is quick to place the blame on someone else—and the merchant usually pays the price,” said Eaton-Cardone. She believes the onus should be on adults to secure their accounts and limit access via parental controls or accept liability for any household purchases made from those accounts. “But the reality is that most people will fight these charges by claiming they were ‘unauthorized transactions’; so merchants need to have a strategy in place to deal with rising occurrences of family fraud,” she added. While some eCommerce and mCommerce merchants may be inclined to issue a credit or accept a chargeback rather than dispute these cases, Eaton-Cardone warns that it can open the door for account owners to deny responsibility for other charges—even legitimate purchases made with their consent. She cautions that “it’s a short leap from family fraud to friendly fraud,” in which consumers file unjustified chargebacks to obtain a refund for previously received merchandise or services. One study found that large eCommerce merchants lose 1.32% of revenue to fraud—rising to 1.68% for mCommerce merchants—and that every $100 in fraud translates to roughly $225 in cumulative losses (3). This may not seem like much, but from topline revenues; the bottom line impact is severe – especially for large e-tailers who notoriously manage tight margins. Within the site’s terms and conditions, be sure to address liability for purchases made by other household members with access to the account. Incorporate parental control options into websites and apps, and make certain these features are clearly communicated to account holders and available as a default option. Require password re-entry for all new purchases on any shared device. Send a confirmation email to the primary account holder immediately following each purchase. Partner with an experienced risk mitigation specialist that has proven expertise in identifying and preventing fraud, fighting chargeback abuse and recovering lost revenue. Monica Eaton-Cardone is committed to educating eCommerce and mCommerce merchants on industry best practices and fraud prevention, and will be speaking on these topics at the upcoming CNP Expo in Orlando and Ticket Summit in Las Vegas. She is also available for interviews and other speaking engagements. For further information, visit http://monicaec.com. 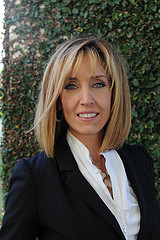 Monica Eaton-Cardone is an entrepreneur and business leader with expertise in technology, eCommerce, risk relativity and payment processing solutions. She has co-founded a number of successful companies, employing 350+ people globally. With the advent of “friendly fraud” expanding from the U.S. to other countries, Eaton-Cardone recognized the necessity to protect the global economy from illicit chargeback threats; hence, Global Risk Technologies (GRT) was established. She currently serves as the CIO of GRT, an international organization with subsidiaries in the U.S.; Chargebacks911; and eConsumerServices. She additionally continues to hold the position of COO of Chargebacks911. Eaton-Cardone has earned a reputation for creative business solutions, helping merchants and banks to achieve sustainable payment processing practices and supporting consumers in resolving transaction issues. She is a champion of women in IT, and hopes to contribute to an expanded presence of females in technical professions and leadership roles.